Color rendering is the effect of a light source on the color appearance of an object by comparison to a reference light source. The color rendering index (CRI) is a quantitative measurement of the ability of a light source to reveal or render the colors of various colors realistically in comparison to an ideal or natural light source. Having trouble telling the difference between navy blue and black in your closet? That is because the light source you are using has a very low CRI. The higher the CRI the more pure the colors will look. 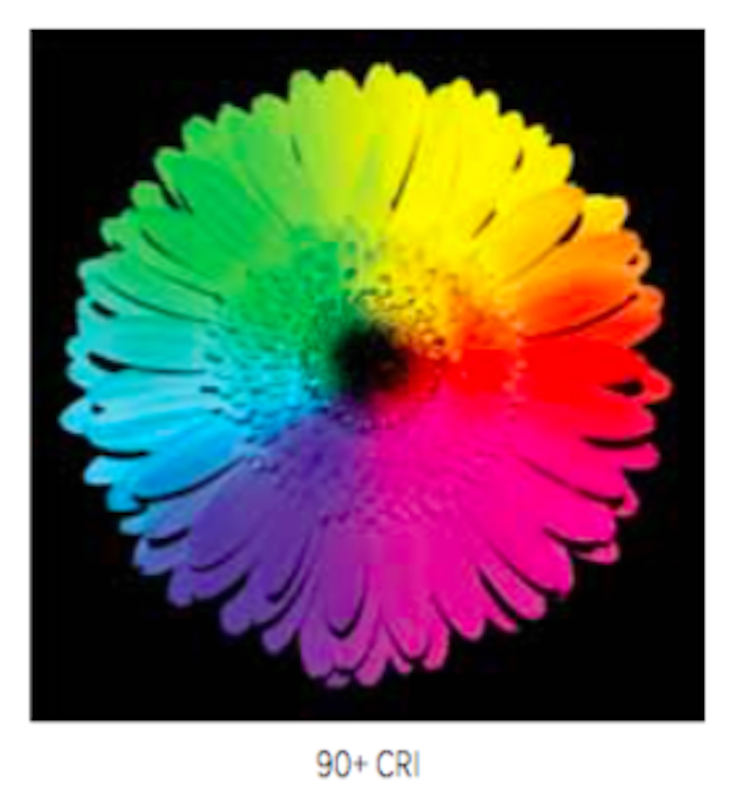 The CRI scale is 1 to 100 with higher numbers indicating more realistic rendering of targeted colors. Lower CRI numbers, below 70 CRI tend to render weak or distorted colors. The current standard in the market is in range of 80 CRI; however, most all of of our items have a minimum of CRI of 90+ making them perfect for rendering colors brilliantly and with great accuracy. Colors will appear crisp and bright, allowing you to really define what it is that you are looking at.